Rumors have been circulating for some time about the upcoming Sonic the Hedgehog film, since Paramount announced it would be bringing everyone’s favorite hedgehog to the big screen. There’s been particular speculation about whether the film will be CGI and who will play the iconic lead characters. Doubtless to the relief of many fans Jim Carrey, who was rumored to be playing Dr Ivo ‘Eggman’ Robotnik, has confirmed that he is indeed involved in the project and will be bringing his comedic talent to the role of the villainous mad scientist. Speaking at the Television Critics Association press tour about his latest projects, Carrey revealed the film is live-action but didn’t give away many other details. When asked how he plans on bringing the Eggman to life, Carrey replied: "Magic, mixed with desperation!" While we don’t have many details about the upcoming film, we do know Carrey will star alongside Westworld’s James Marsden, Ride Along’s Tika Sumpter, and The Characters’ Natasha Rothwell. Marsden plays a police officer in the town of Greenhill, who teams up with a young delinquent Sonic the Hedgehog in an effort to stop the maniacal Dr Robotnik from taking over the world. We currently don’t know which roles Sumpter and Rothwell have been cast in, or who will play Sonic himself. 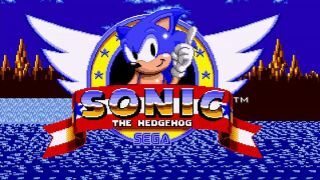 Sonic the Hedgehog is currently in production and is expected to release on November 15, 2019.